An apt choice for the man seeking an utterly unique ring. 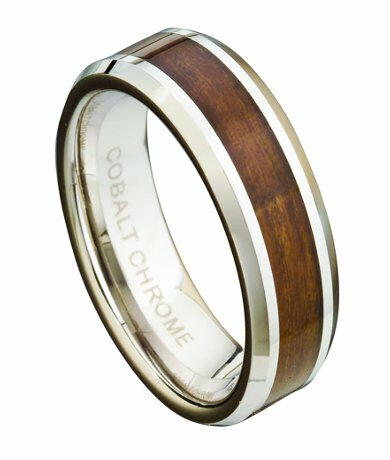 This cobalt chrome wedding ring with Koa wood features a handsome center inlay of exotic wood, offset by polished beveled edges. Affordable yet rich in style, this 8mm comfort fit men's wedding band is anything but ordinary. Comfort-fit rings should be ordered 1/2 size smaller! My fiancé loves this ring because it's very rugged yet classy, you can see the grain in the wood but it's very well made. Great service as well, the package came within the time it did. 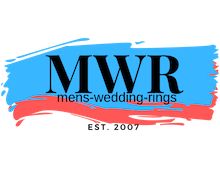 Thank you for being a part of making our day special, MWR!